Two gunmen who opened fire on a security officer outside of a contest for cartoon depictions of the Prophet Muhammad (PBUH) have been shot dead, authorities in the Dallas suburb of Garland said Sunday night, May 3rd. They drove to the Curtis Culwell Center in Garland as the event was ending, and began shooting at the security officer before being killed by police. Dutch anti-Islamic politician Geert Wilders had been one of the keynote speakers at the event. He tweeted that shots had been fired and he had safely left the building. Security had been high around the centre because of the controversial nature of the event. 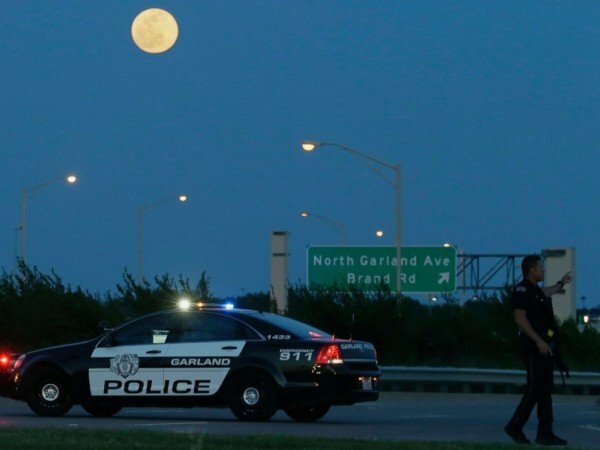 Garland Police Department spokesman Joe Harn said there had been no credible threats in advance, and it was not immediately clear if the shootings were related to the event. About 200 people had been attending the Muhammad Art Exhibit when, shortly before it was due to finish at 19:00, they were told of a shooting outside. Garland Mayor Douglas Athas told CNN that the “first suspect was shot immediately” . The conference included a contest that offered a $10,000 prize for a cartoon of the Prophet Muhammad.